. إن الخدمات التي يقدمها منتجع بلو لاجون تضمن للنزلاء إقامة مريحة. يمكن للنزلاء الاستمتاع بالميزات التالية: واي فاي مجاني في جميع الغرف, مرافق مخصصة لذوي الاحتياجات الخاصة, تسجيل وصول/خروج سريع, تخزين الأمتعة, واي فاي في المناطق العامة أثناء إقامتهم في هذا المكان الرائع. يمكن للنزلاء الاختيار من ضمن مجموعة من الغرف المصممة بعناية لتعكس جواً من الراحة، والتي يتجاوز عددها 88. يقدم الفندق خدمات رائعة كمثل حوض استحمام ساخن, مركز للياقة البدنية, مسار جولف - ضمن 3 كم, حمام سباحة خارجي, سبا لمساعدتك على الاسترخاء بعد نهار طويل من النشاط والتجوال في المدينة. استمتع بخدمات لا يعلى عليها وعنوان ذو اعتبار في منتجع بلو لاجون . لا يتاح لجميع الغرف استخدام المصعد. يجب على النزلاء الذين يعانون من محدودية حركتهم أو يواجهون صعوبة في صعود الدرج، الاتصال بالعقار قبل الوصول. We were lucky enough to be upgraded to a 1 bed apartment over looking the pool. The apartment had everything we needed to be completely self sufficient, well equipped kitchen, and having a washing machine is an excellent bonus. Fans and airconditioner make it extremely comfortable, probably too much so, as it was so hot outside it was tempting to stay indoors. The pool/BBQ area very nice and clean too. The beach, convenience stores and restaurants all very close by. There also seems to be a bus service close by too if you don't have a car, as it is a long way from cairns central. We required a two bedroom self-catering apartment which included a week of school holidays and found the Blue Lagoon could offer the best value for money which met our requirements. Also we had stayed at this resort on three previous occasions so were familiar with the facilities. While the complex is large, the layout made it feel peaceful. Our third floor apartment overlooking the pool was delightful, clean and pleasantly furnished. 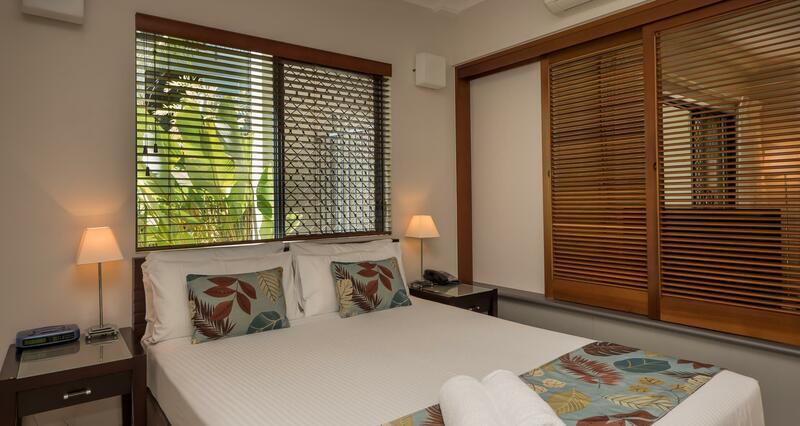 All amenities were provided and facilities included free wifi and Foxtel. Thoroughly enjoyed our experience and would recommend this resort. The place did its best but I was disappointed in this app. $549 one day $749 the next and then it says $30% off and so I click it thinking it will still be good value to find out that the price $749 is the discounted amount. Exhausted in time I go oh well and book it. Then at the office on arrival find that staff assume I'd payed the 549, and then we upgraded paying another $50 cash. I guess its 'peak' season and still a good deal for 5 nights? Aaodoa is the confusing part?! Poor resort staff and clients using this 'American' based app. Good location, excellent facility/equipment inside the apartment, very nice service at the reception and out of office hours checking is easy. Nice place for families. The only point of improvement is that their welcome kit is limited to towels/face towel/1 tube shower gel/shampoo/2 dishwasher/2 rools of toilet paper. So if with family bring your own supplies. no salt/sugar/oil/pepper whatsoever in the kitchen, bring your own one. Our stay was wonderful, even with the flooding rains. The facilities were great and the rooms were clean and large. One small issue was no table inside the apartment, only on the balcony, but we had a beautiful view of the pool so not going to complain. The staff were lovely and helpful. I will definietly be back. Great location for a relaxed holiday , however would prefer a full service every 4 days , not just the sheets and towels changed and bed made . The toilet rolls would have been appreciated . Everything else was great. Pros: self contained apartment, they seriously had thought of everything! Hair dryer, washing machine, iron, pots and pans for cooking, etc. Magnificant pool and plenty of car parking for those who hire cars. Cons: location in under developed area at the moment. Not a busy tourist location (which is good for some) If we are up this way again, we would definitely stay at the blue lagoon again! We only stayed at the Blue Lagoon for 2 nights the accomodation, location and facilites were all first class. 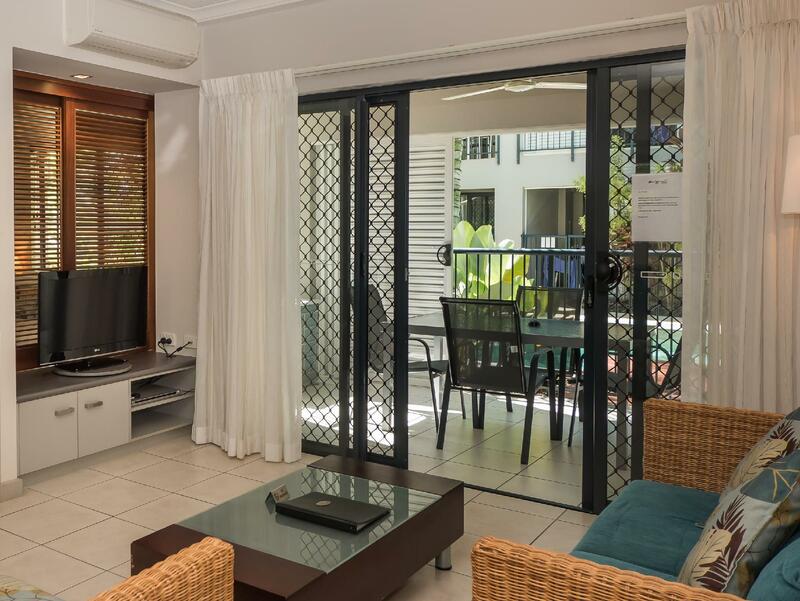 It is very close to the centre of Trinity Beach and the rooms have all you need for self catering. The staff were extremely helpful and happy. We checked in early but they made sure our room was ready.. They also booked a trip to the Great Barrier Reef for us and offered us lots of good advice. Would defintely return. Nice and spacious apartment with well equipped kitchen. Washing machine and dryer in the apartment. Nice pool and the resort is close to the beach, couple of minutes. 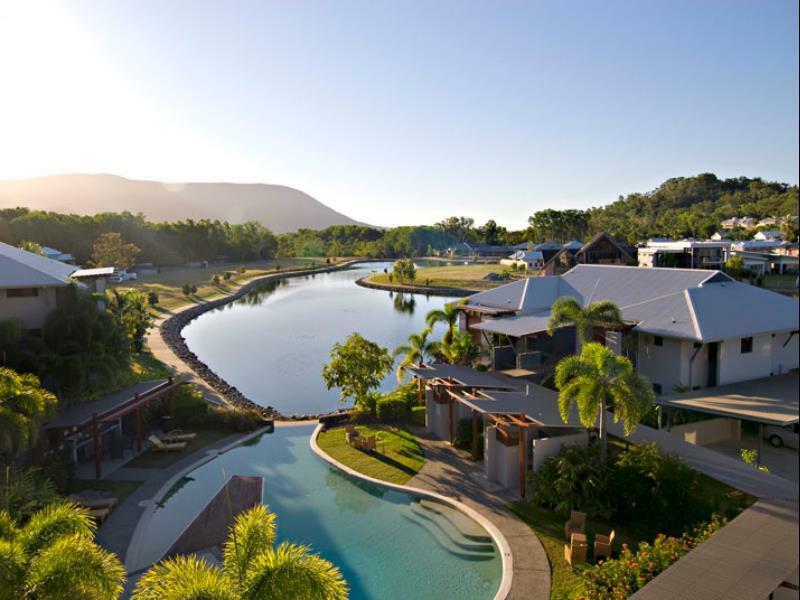 Half an hour drive from Cairns. Short drive to a nice big shopping centre at Smithfield. Spent 3 nights in a one bedroomed apartment. Nice views of the pool. Clean and tidy utensils and apartment. Liked the tv that was on a table ledge in between the lounge and the bedroom which can be turned around. Easy walk to Trinity beach and local shops. Friendly and polite staff. Central location, just a short stroll to the beach, restaurants and bus. Couldn't fault the facilities or the staff, nothing was a bother and they seemed to know every single guests name. Central to lots of great day trips, picked up at the door. Great stay, I'll be making this an annual event. Receptionists were brilliant, helpful with any questions we had and even re-opened and booked trips for us. About 5 restaurants just outside the hotel entrance and short walk to the beach.Brill room! Fantastic. Loved how close it was to the beach (about 5 min walk) and surrounding restaurants and the couple of bars. The room itself (one bedroom apartment) had a lot of space in both rooms and everything you'd expect to find to live comfortably and a large dining area on the balcony. 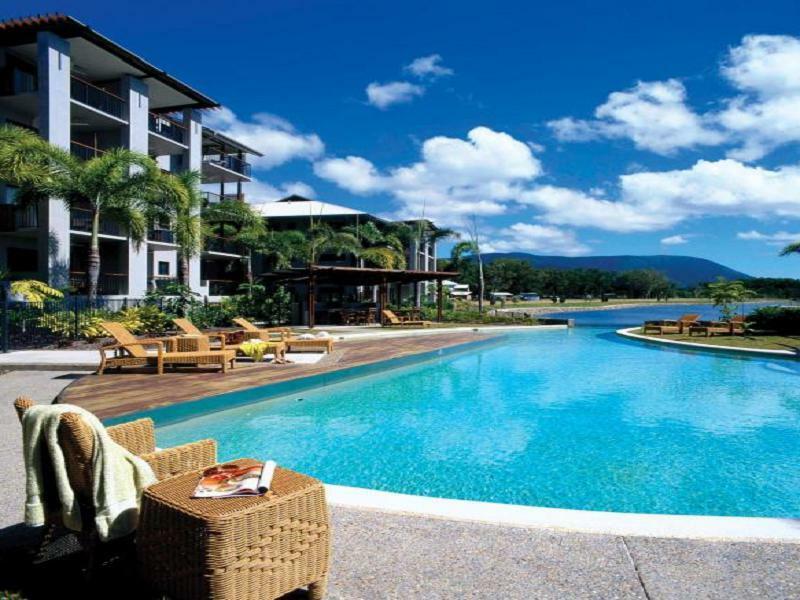 Ideal location for trips (Kuranda, Daintree) and pick up point at bus stop is a 2 min walk away, and about half hour bus ride into Cairns. Staff were all very friendly and helpful and booked trips for us which was a great help as we had limited time and if they had not done this we would have missed out on a trip. The weather wasn't the best while there but the pools looked great. 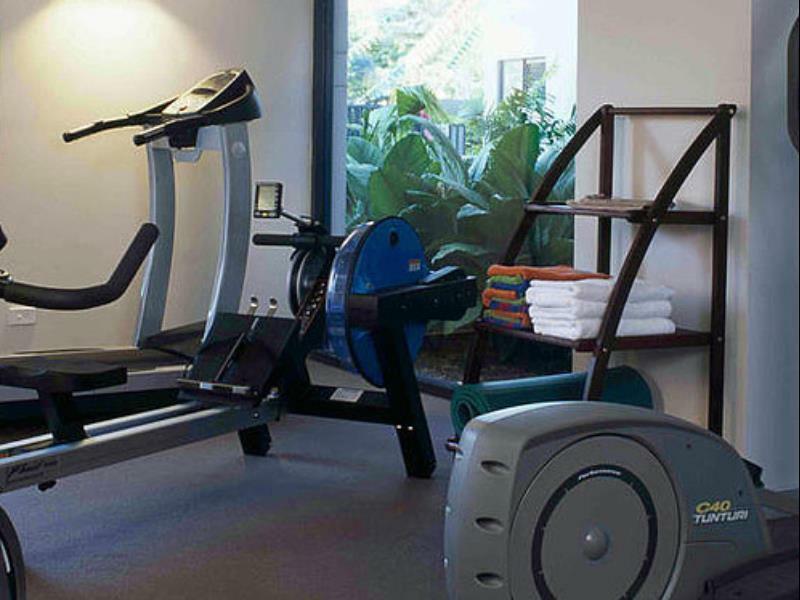 easily accessible, great facilities and wonderful staff.